Product code: MK45Kit Categories: 45mm Master Kits, Sublimator Kits. The 45mm Master Kit is great for any 45mm blown glass piece of your choice. 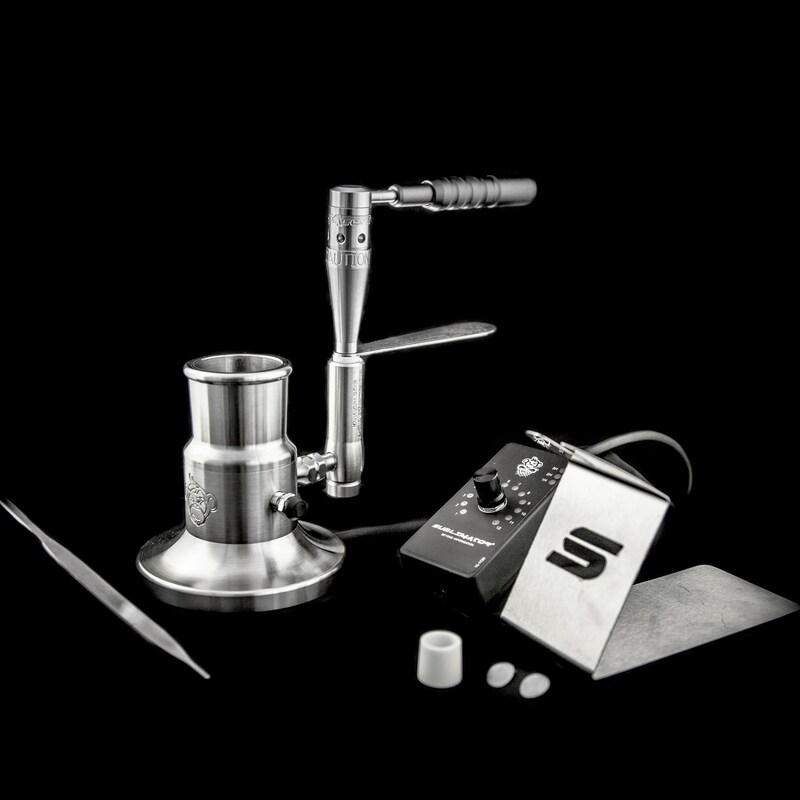 This kit includes : 45mm Stainless Steel Ring, Stainless Steel Base Kit with Double Threaded Ring and Oil Catcher, Heating device of your choice, 14-18mm Stainless Steel Atomizer, Stainless Steel Stand, Stainless Steel Screen Set(2x), Stainless Steel Cleaning Tool, Monkey Controller and Power Supply.